HO Sports Big and Tall Oversized Men’s Nylon Life Vest Blue, sizes up to 5XL-TALL. Coast Guard Approved. 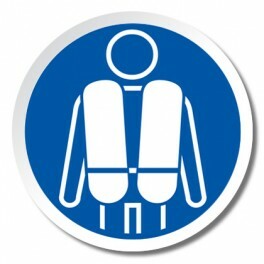 Life jacket is 3″ longer to help cover tummy. HO Sports Mens Tall Life Vest is a Nylon Life Vest in Blue USCG approved for the Big and Tall men who what a little more coverage in the tummy area. 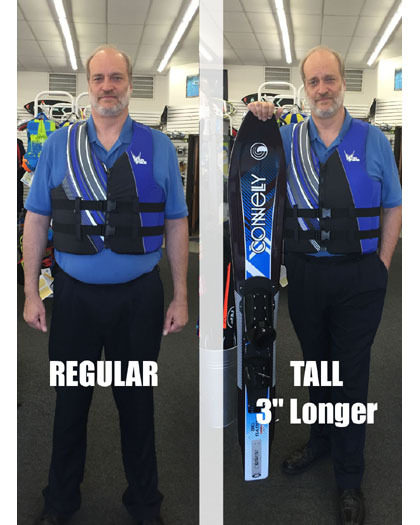 This life jacket is 3 inches longer than standard oversized life jackets. 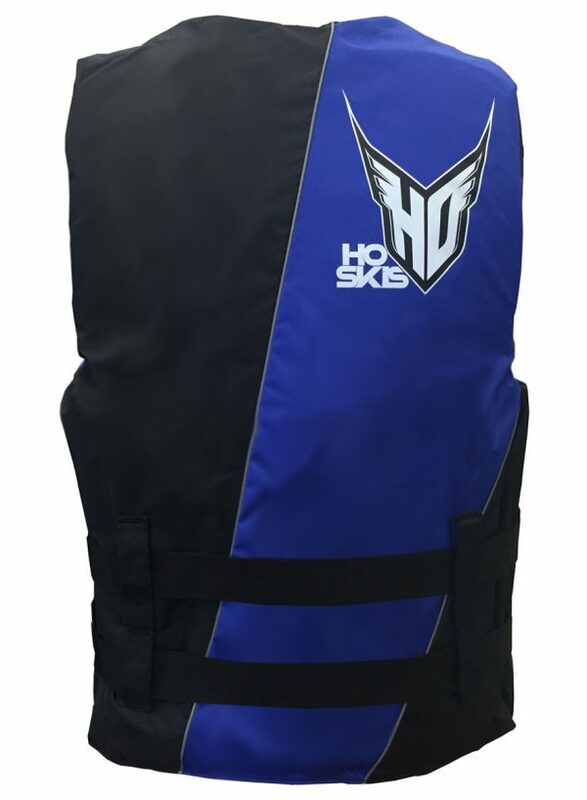 HO Sports released it in 2016 as a TALL OVERSIZED version of the HO Sports Infinite Life Vest. 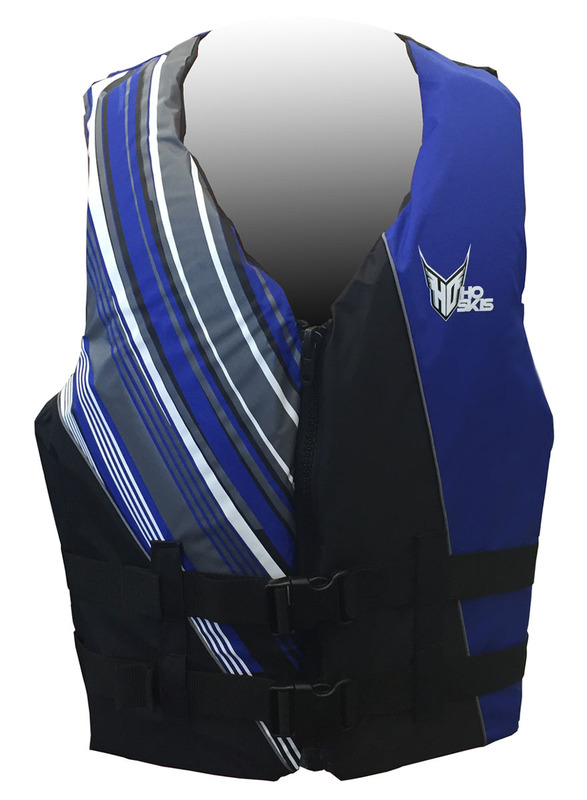 This life jacket for tall people is comfortable and has good mobility using soft flexible foam with front and back foam panels and has independent side panels on both sides. It has a center zipper with 2 quick release buckles for a more secure fit. Others have tried to make cheap copies of the TALL life jackets, but buyer beware. Only HO Sports provides you with name brand quality in a TALL OVERSIZED life jacket. The large arm holes will not ride up and rub your arm pits when do activities in the water (cheaper nylon life vests with small arm holes have that problem). Oversized NEOPRENE life vests in are also available. See the related vests below. Note on size: Measure your chest circumference under the arms and across the pecs. Also measure the belly. If your belly measurement is bigger than your chest measurement, the guide based on chest size may not be right. In that case, it is better to buy a size larger than what is indicated by your measured chest size. 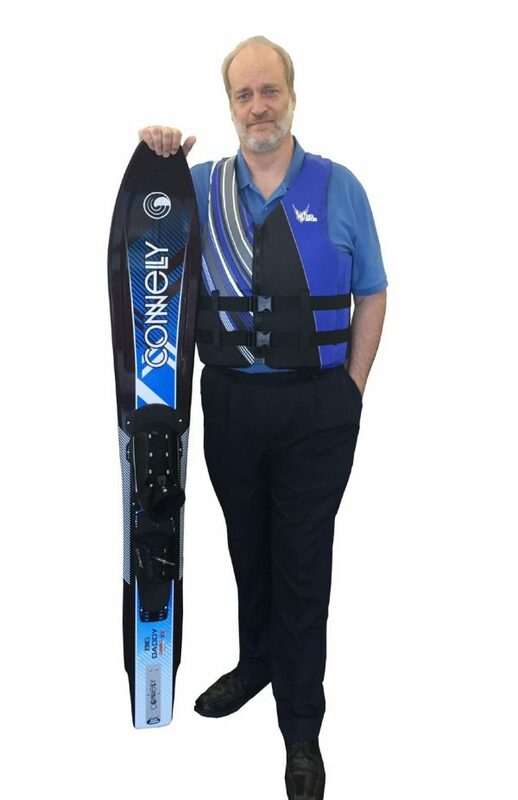 Water Ski World is not responsible for return shipping when a vest does not fit. People have different body shapes and we cannot always predict what size will fit you 100% of the time. Much better than the cheap short nylon vests on the market.